from flickr user miss_rogue We have revamped our documentation and rolled out [Engine Yard Docs 2.0](http://docs.engineyard.com/)! We wanted to make sure our documentation was as up-to-date and easily maintainable as possible. We researched several different options for changing our documentation. Our conclusion: if we use Git to store our code and handle our revisions, why not do the same with our documentation? 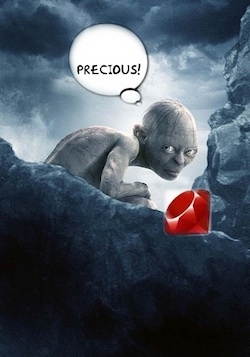 So, we decided to use Gollum and Gollum-Site to create our documentation. After listening to Jacob Kaplan-Moss's CodeConf talk about Writing Great Documentation I felt confident that this was the right path for us to take. As Jacob said "Great documentation is written by great developers." Now our awesome developers have an easy way to help maintain our documentation. One thing we LOVE about this new documentation is that YOU, our community, can share feedback about our documentation to make sure we are meeting YOUR needs. The public GitHub repo is available for everyone to view at EY-Docs. If you write up a blog post about how you got Node.js or Riak working with Engine Yard AppCloud, just follow the steps in the Readme to contribute a page. It's a quick 6 step process--just half the steps it takes you to recover from your whiskey habit. Likewise, if you see an outdated page or would like to request documentation on something specific, just click on the big red button on the bottom of every docs page. Head over to our GitHub repo and add some issues. If you're feeling up to the challenge, fork our repo and start adding documentation on subjects that you feel will benefit the rest of the community.